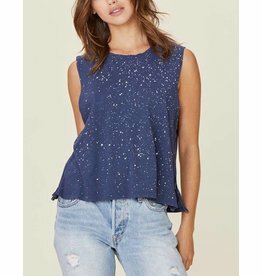 Jetlagged & Stars Printed on Super Soft Lightweight Tank in White by Lauren Moshi. 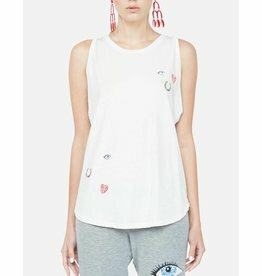 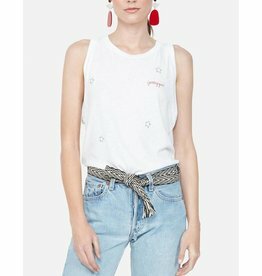 Eye Love UÂ PrintedÂ on Super Soft Lightweight Tank inÂ Milk by Lauren Moshi. 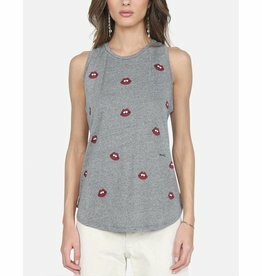 Red Gap MouthÂ PrintedÂ on Super Soft Lightweight Tank in Heather Grey by Lauren Moshi. 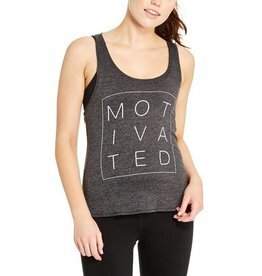 Take things up a notch with our new high-waisted legging, the Jaelynn!